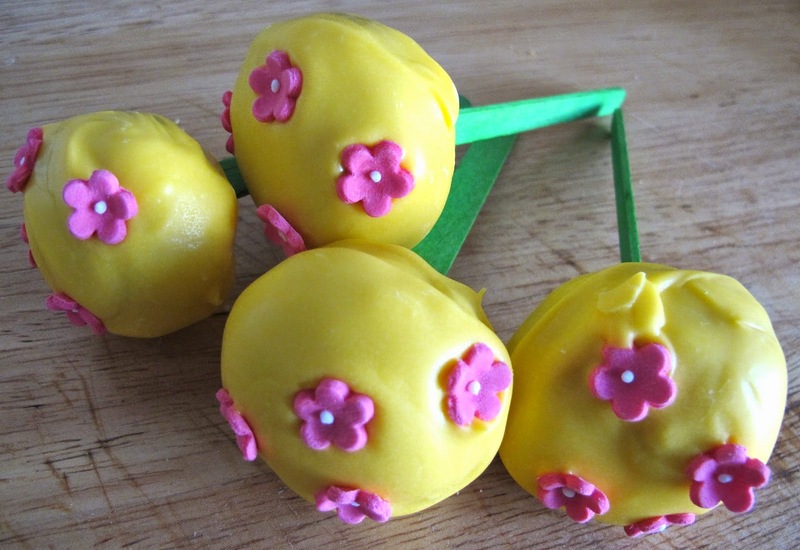 Celebrate the summer with some wonderfully coloured cake pops! 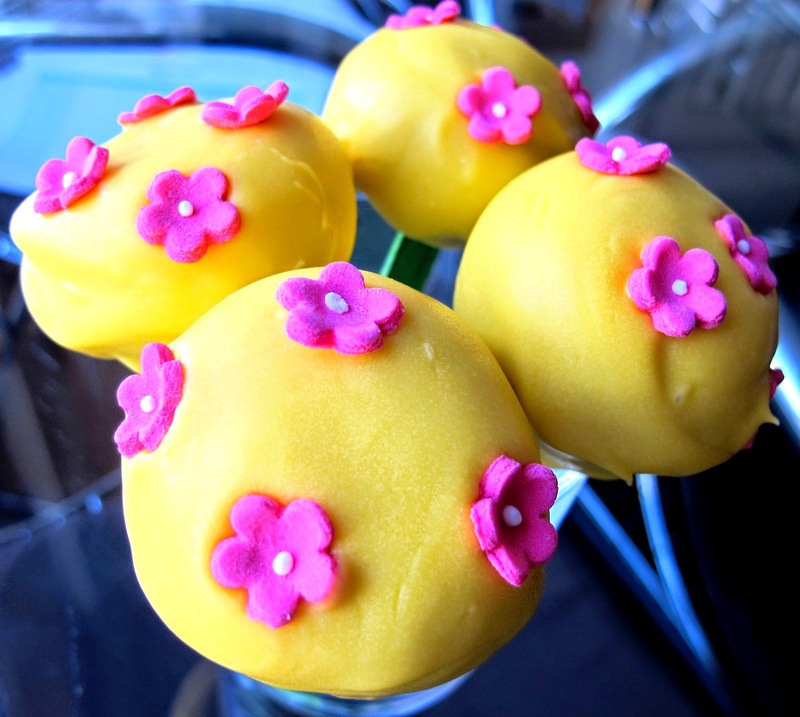 I used vanilla candy drops and fuschia pink sugar paste flowers and green lollipop sticks. How will you decorate yours?